Looking to have a breast reconstruction, augmentation, or revision surgery with silicone gel breast implants? 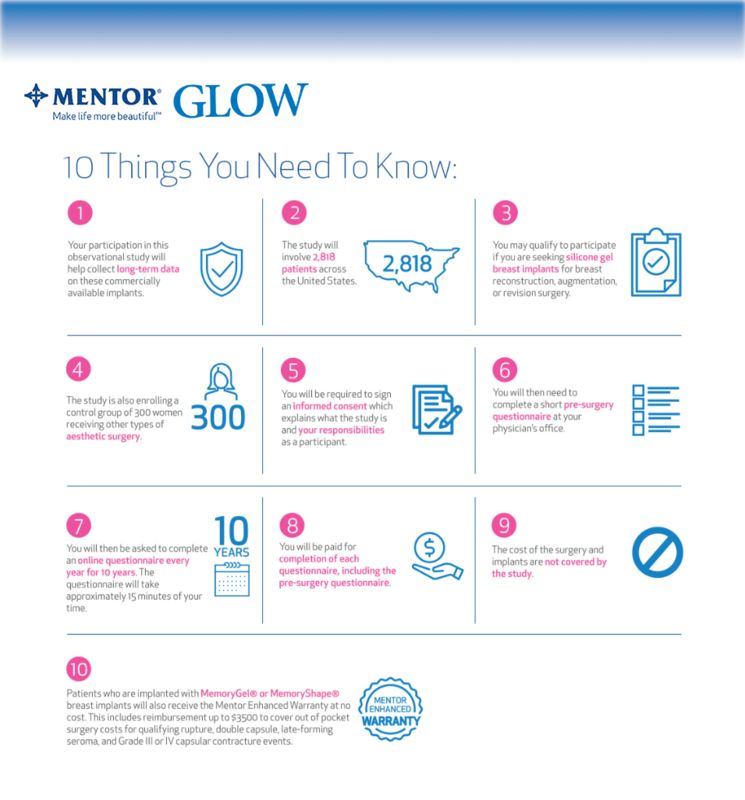 If so, we would like to introduce to you the GLOW Clinical Trial from MENTOR. Dr. Schwartz is one of the selected few doctors in the country to be a part of this FDA Clinical Trial. For more information, please see below.